Merge Archive PST Files – Easy Outlook Management! Are you an MS Outlook user? Are you archiving your Outlook PST emails on a regular basis? Are you also archive old email data like attachments along with mails & body text etc of Outlook? Have you been regularly archiving old email data in order to prevent application slowness and Inbox storage size from exceeding? Archiving emails regularly is a useful task, as you can refer to the archived email data any time whenever you need to obtain any old information as that information is not deleted but saved in these PST archive files. Collection of PST Archive Files: Long usage of Outlook results in accumulation of large number of PST files. Archiving old emails can also lead to collection of innumerable PST archive files in your mailbox. Problem with MULTIPLE Archive Files: In-numerous Outlook archive PST files will only create difficulty for you. Also, it is difficult to manage multiple files and the problem can become worst if you need some information from old PST archive file. To search particular information from so many PST archive files is tiring, slow and time-wasting process. Analyse the working efficiency of merge archives PST files, download online demo version which effectively merge initial 5 items of selected PST folders lacking any data failures. After satisfaction of Demo version purchase Full version only $69 with complete support. 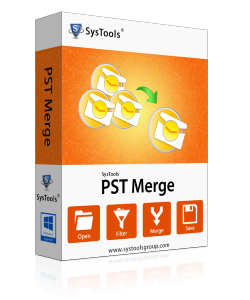 Merge Multiple PST Files: You can get rid of the problem caused by multiple PST archive files by merging those Outlook archive files into single PST file with the help of some powerful outside tool. You can use PST Merge software to merge Outlook archive PST files easily. Using this tool, you can merge Outlook archive PST files into single PST file, which further helps you search for some particular information as you just need to open single file to obtain information. Using this tool, you can also merge Outlook 2007 contacts with same ease. This tool will save your time, energy and labour.